This is the time of the month when I am usually wrestling with what to say and trying to avoid repeating myself, which can be pretty difficult after several years of columns. This month, I have something of a surfeit of material, so I will apologize in advance for the rambling. This entry was posted in Uncategorized on March 1, 2017 by Edward A. Studzinski. This entry was posted in Elevator Talk, Uncategorized on September 1, 2016 by David Snowball. Sussing out publications that cover investments in a fair-minded manner is no easy task. 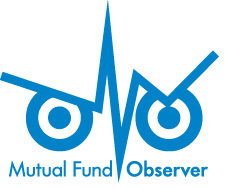 In that light I have been reading Mutual Fund Observer and prior that FundAlarm for as long as I can remember. A monthly publication is for the vast majority of investors as frequent as they need to be checking in on the world of investing. I also have the benefit of having read both Josh and David’s answers to the question. In that light I will simply agree with what they have both written. I am not sure quite how he does it but Josh has created for himself a process that provides him with what he needs to succeed in a number of different venues. David has correctly noted that a focus on books, not necessarily investment-related, is an important antidote to the daily din of the financial media. I spend much of my day wading through the financial media and blogosphere looking for analysis and insight that has a half-life of more than a day or two. The recommended sources below do much the same thing with a very different focus. Print: The Week. You can consume this weekly magazine online but I still rely on the US Mail to provide me with my copy. The Week is a curated look at the week’s, or more likely, the previous week’s news. It covers the gamut from domestic and international news, entertainment, finance and last but not least real estate. The elites may read The Economist every week. Someone with a busy schedule reads The Week. Podcast: Science Friday. Science Friday is broadcast on many public radio stations but I consume it via podcast. It is already a cliche to say that the worlds of science and technology are changing at an increasingly rapid rate. For a lay audience Science Friday provides listeners with an accessible way of keeping up. For example last week’s show included segments on the science of sunscreen, cephalopod intelligence and 3-D mammography. Online: The Browser, Longreads and Longform One caveat I would have about reading non-fiction books is that many of them are magazine articles padded out to fill out the publisher’s idea of how long a book should be. If that is the case then reading original long form reporting and analysis should provide us with a good bang for the buck. The Browser is not focused explicitly on long form content, but I thought I would mention it here since it is so darn good. Successful investing isn’t about making quick decisions in the moment. It is about sitting on your hands most of the time and making decisions after some thoughtful consideration. As I have written prior a multi-disciplinary approach to investing provides you with the perspective necessary to see the world as it is as opposed to how Wall Street would like you to see it. This entry was posted in Uncategorized on June 30, 2014 by David Snowball. Morning starts with my Feedly, wherein I cycle through everything published from 8pm until roughly 7am, at which time I begin curating my Hot Links post. This will often capture the print media’s stories, which hit overnight to coincide with newspaper publishing as well as the latest hilarity from Europe / Asia. I supplement Feedly first thing in the morning with Linkfest.com (aka Streeteye), which gives me the most-shared links from British Twitter (will usually feature a heavy dose of Telegraph and FT stories) as well as all the stuff that was popular with influential people overnight. From 9am til 12noon I’m usually too busy running my practice, dealing with employees and clients, to be reading anything, which is a shame because the best financial and market bloggers usually publish their best stuff of the day in that window. Sometimes I’ll catch some interesting links off of Tweetdeck, which I keep open on my screen while multi-tasking – but it’s not easy to do this most days. Instapaper is a great tool for me – I have a button for it on my iPad and my Chrome browser on each desktop / laptop I use. This let’s me save stuff I come upon for later. I do a TV show four days a week from 12 til 1. I’m not reading anything here either for the most part, it’s breaking news and “what’s moving the markets today” that I’m typically involved with during this time. Thank God that by the time I get back to my office around 1:30pm ET, the daily Abnormal Returns linkfest is usually up. I’ll scan the links and try to click on between 5 and 7 of them – hopefully read most or all of them before the afternoon’s activities kick in. You’ll notice, at no time do I ever visit the home page of a blog or media company’s site. I rely heavily on headline scanning / curation / Twitter. You’ll also notice I don’t mention radio or TV as a part of consumption. This is deliberate. I don’t have time for the format in real-time as it requires sitting through lots of filler. Instead, I’ll try to stay attuned to appearances by specific guests and then grab the video itself. If Howard Marks or Jeff Gundlach or Cliff Asness or Warren Buffett give an interview on CNBC or Bloomberg, I want to watch it. If there’s a strategist on I care about or someone says something provocative, I figure Twitter will surface the video and circulate it. Thankfully, financial television content can be consumed a la carte and on our own time these days. We don’t have a single TV set in our offices. Nighttime is published books for me and a stray story or two that I hadn’t gotten to from either my own Hot Links post that morning or from somewhere else like AR, or Barry’s reads list at Bloomberg View or wherever else. I’ve committed to reading more books this year than I had last year and so far I’m on pace. I aim to read a non-finance book for every finance book, for the sake of staying well-rounded and cultured. As to my reading diet: If you want to think long-term, you can’t spend all day reading things that train your brain to twitch. When I’m not interviewing portfolio managers or other investors, I like to read the latest research in cognitive and social psychology, behavioral finance, neuroscience, financial economics, evolutionary biology and animal behavior, and financial history. (As a journalist, I get new-article alerts and press access from hundreds of academic journals. If you’re not a member of the Fourth Estate, you should closely follow the science coverage in a good newspaper like The Wall Street Journal or The New York Times.) Here, I’m looking for new findings about old truths – evidence that’s timely about aspects of human nature that are timeless. Online, I like the blogs Farnam Street and BrainPickings, Morgan Housel at The Motley Fool and Matt Levine at Bloomberg View, Bob Seawright’s “Above the Market,” Tom Brakke’s “the research puzzle,” anything that Bill Bernstein writes, the Fama/French Forum. In my day job, I can’t utterly ignore what’s going on in the short term, so I follow The Big Picture, The Reformed Broker and The Epicurean Dealmaker, who will have short, sharp takes on whatever turns out to matter. This list isn’t complete, and I’ve just offended a lot of my friends by leaving out their names because I’m on deadline today. Every investor worthy of the name must read Where Are the Customers’ Yachts? by Fred Schwed, The Money Game by ‘Adam Smith,’ Against the Gods by Peter Bernstein, the Buffett biographies by Alice Schroeder and Roger Lowenstein, A Random Walk Down Wall Street by Burton Malkiel and The Intelligent Investor by Benjamin Graham (disclosure: I am the editor of the latest revised edition and receive a royalty on its sales, although you don’t have to read that edition). These books aren’t optional; they’re mandatory. Reading seven books is a much cheaper form of tuition than the mistakes you will make if you don’t read them. When I’m not at work, I make a special point of reading nothing that is investment-related. I read fiction that has stood the test of time; history and historical biographies; books on science; books on art. Learning how to think is a lifelong struggle, no matter how intelligent or educated you may be. Books like these will help. The chapter on time in St. Augustine’s Confessions, for instance, which I read 35 years ago, still guides me in understanding why past performance doesn’t predict future success. There will be a slight delay in publishing the May 2012 issue of the Observer. In the past 24 hours I’ve been laid low by a particularly unattractive virus. While our monthly essay is pretty much done, I haven’t been able to complete the final pre-publication quality review. With luck (and a lot of medicine), we’re hopeful of having the May issue available on the evening of May 1st. The Greatest Fund that Isn’t. As of mid-April 2012, data services reported one fund with 180% year-to-date returns. It turns out to be an old and occasionally troubled friend that’s not quite a fund any longer. The Return of the Giants, a review of the cheerful notion that the “star managers” have regained their footing in 2012. “A Giant Sucking Sound” and Investor Interest in Mutual Funds. We’ve updated our link to Google’s analysis of interest in mutual funds and the picture isn’t getting brighter. We suspect that fund companies, in too many instances, abet the decline through insensitive, desultory communications with their shareholders, so we talk about really good shareholder communication and a new service designed to help smaller fund companies get better. The Best of the Web: Curated News Aggregators. Google News manages to draw 100,000 clicks a minute with its collection of mechanically assembled and arranged content. News aggregators offer a useful service, and it’s possible for you to do a lot better than robo-edited content. Junior highlights two first rate, human curated aggregators (Abnormal Returns and Counterparties). As always, we offered new or updated profiles of four cool funds (Amana Developing World, Artisan Global Value, FMI International and LKCM Balanced). There’s important news from a half dozen fund companies, including a new fund in registration that represents a collaboration of two fine firms, RiverNorth and Manning & Napier. Except for our monthly highlights and commentary, all of the new content is available now using the navigation tabs along the top of this page. This entry was posted in Uncategorized on April 30, 2012 by Editor. Counterparties.com is a new Reuters website that is edited by Felix Salmon and Ryan McCarthy. Ryan McCarthy is also a deputy editor at Reuters.com. Prior to working at Reuters he held the position of business editor at the Huffington Post. Felix Salmon is a UK native with a knack for getting attention, as with recent suggestion that The New York Times might choose to sell some of their information, before publishing it, to hedge funds. In addition to blogging for Thomson Reuters, he’s written for Euromoney magazine and the Bridge News Service, created the Economonitor blog for Roubini Global and the Market Movers blog for Portfolio.com. Like me, they both Tweet: @felixsalmon and @ mccarthyryanj. Counterparties.com is part of the Reuters network, and that connection is reflected in the site’s slick design and corporate feel. The design and layout is crisp, smooth and professional. I particularly liked the background color choices. The top and bottom zones are done in a muted red while the main body is in plain white. It has the effect of clearly demarcating the main body of content from the secondary zones. It is a simple design choice that has a big effect, and shows the importance of a good design team. Content is presented in four distinct segments. The top row contains four featured stories. Each contains a prominently displayed picture, a rewritten headline of the story, a link to the website and another link to a discussion board. Each story has a clickable tag (“deals”). Click and you get an index of all stories in that category. There’s a linked title (“Twitter made”) and source (venturebeat.com). There are links to discuss or Tweet the article. Each entry ends with a Tweet about the article or with a link to a related story. The second story is presented with a small favicon or avatar and a one sentence headline that you can click to get the full story. The articles are divided into sections that are clearly separated and easy to differentiate. The narrower right hand column contains The River and The Browser. The River contains “stories we love,” and are sometimes presented in a lighthearted manner. The teaser to one River story declares, “It’s about more than underwear, it’s about redefining what it means to be made in America (4/26).” Unlike the main stories, The River’s presentation is understated: source, category, and teaser. Below The River there are links to “stuff we’re not linking to” and a tally of the sites they most frequently link to (New York Times, Bloomberg, Wall Street Journal, Reuters) and then a feed from a website called The Browser. Its editors note, “The Browser is not a news website. Our priority is to curate writing of lasting value – whatever its length or form.” During my visit, the feed highlighted stories on intolerance in Saudi textbooks, Gerard Mercator’s 500th birthday and why thinking in a foreign language makes for better decisions. There is no clear pattern of story assignment, so there’s no quick way to find stories on a particular subject (e.g., breaking news). It’s not clear if the stories on the top bar are simply the most recent. Of greater concern was the fact that clicking a link (in both Firefox and Chrome) did not cause a new tab to open, instead the link caused the page to open in the existing tab. That may not be of any concern to some but be prepared to hit the back button often if you don’t have a preview plug-in installed in your browser. You can, of course, right-click and choose new tab but that’s unnecessarily clunky. “Stuff We’re Not Linking To” seems to add a bit more clutter than value. The “links we’re not linking to” are undefined. It’s not immediately clear how relevant the section is. The overall presentation and layout is excellent and navigation is simple and quick. The editors inform us that the website is still evolving and they are working towards improving the overall experience. Most of the links that are featured in the main section to the left come from the major players in the industry. In fact the entire top five top sources linked to are industry heavyweights. They also occasionally feature stories from smaller sources and also financial blogs. The fact that the majority of their links are from long standing and well respected sources means that the quality of the content is high. What is refreshing is that the quality of the lessor known sources generally matches that of the major players. A good case in point was a blog entry by one of the investors of Instagram who was responding to criticisms levied against him and his group. Never mind that they are set to make some $78,000,000 from their initial investment of $250,000. While an automatically recommended list of links that is generated by Percolate account for a quarter of the links available to them, the editors manually choose the ones that make it to the site. This best of both worlds approach seems to work well but as is shown by the prevalence of links from major entities, it may have the effect of eliminating content from lesser known sources. With the might of Reuters and the talent of Felix Salmon and Ryan McCarthy behind it Counterparties is the closest thing to curated news nirvana that I have come across so far. Slick professional presentation coupled with a fresh feel, eclectic coverage and great quality adds up to a winner. They may be the new kids on the block, but if they keep their standards to the level they are at now and continue to improve they should be here for a long, long time. This entry was posted in Uncategorized on April 28, 2012 by Junior Yearwood. Abnormal Returns is a widely-touted finance and investing blog that aggregates news stories from the blogosphere and the mainstream media. The six-year-old website has been celebrated as “the linkfest against which all others should be judged in the financial blogosphere” (Joshua Brown in The Christian Science Monitor) and one of “the best of the blogs” (Minyanville). Its editor, Tadas Viskanta, is one of “the finance people you have to follow on Twitter” (Business Insider) and “a lot smarter than you are” (The Globe and Mail). Mr. Viskanta describes himself as “a private investor” with an MBA from The University of Chicago. In the 1990s he co-authored, with colleagues from First Chicago and Duke University, a series of journal articles on global investing. HIs most widely-cited works deal with international equity correlations and various classes of risk factors. His most recent work, Abnormal Returns: Winning Strategies from the Frontlines of the Investing Blogosphere (McGraw-Hill, 2012), came out in mid-April. 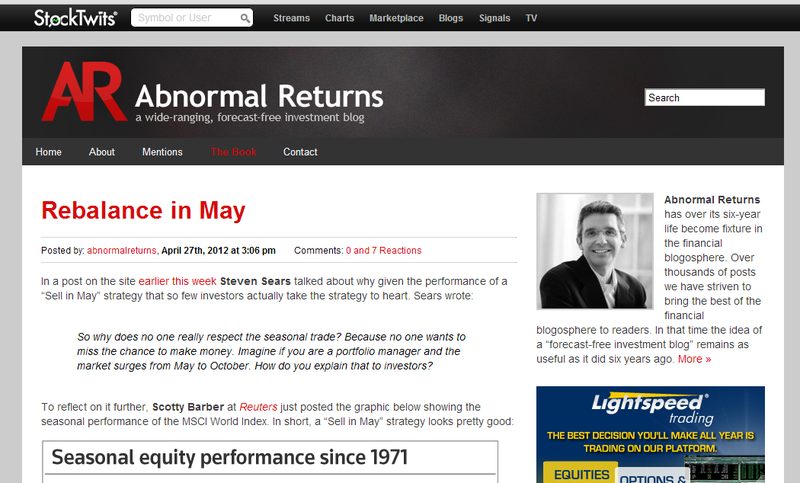 Abnormal Returns has a clean, content-focused layout. Across the top there’s the site banner, with a search box and rudimentary site navigation. Below the banner and site navigation links the page is separated into two sections. The left column contains the current content; the right column has the archives and a smattering of ads. At times it is difficult to identify the different categories when quickly scanning through since they are only separated by a heading that was underlined and in bold font (ETFs). The font type was the same so when quickly scrolling up or down the list at times I missed a heading completely. That was a minor issue though and only occurred when I sped through the page. The function of “The Latest” is muddy. It appears to exactly duplicate the “Recent Posts” list in the adjacent column, and therefore add little value to the site. Abnormal Returns provides links to news, commentary and information that was created by members of the financial blogosphere, as well as financial and investing news, articles, and occasional videos from the mainstream media and commercial websites. The website is updated daily, and there are also links to archived material and recent posts that you may have missed. In a wide ranging interview that was published on Covestor, Mr. Viskanta states that the links he recommends contains elements of commentary and analysis. He also stated that they should have some lasting value. He is clear that the links represents material that he personally finds interesting and useful. The links that appear on Abnormal Returns are selected from a wide range of sources. After test driving the site I was impressed by the diversity. While many (if not most) of the article links were from the financial blogosphere, there were many articles that came from established and well respected industry heavyweights such as The Wall Street Journal, Bloomberg and The Economist. In the Covestor interview Mr. Viskanta explains that his links are curated from a variety of sources including emailed content, his personal newsfeed, Twitter and StockTwits. Every link in the daily updated content is human-selected; there is no element of mechanical aggregation in the selection process. 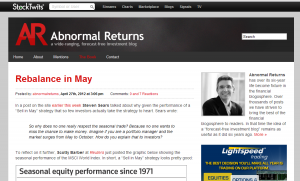 Technically speaking Abnormal Returns may be better described as a curated financial news blog. We decided to include it on our list because it is one of the best options for any investor looking for a website that provides important, topical and useful news and commentary from a wide cross-section of sources. Also weighing in on the decision was the reputation of the site founder and the generally high quality of the material that the site recommends. Overall we think that Abnormal Returns ranks as one of the best collections useful finance and investing news and commentary. The layout is simple and easy to navigate and its text heavy presentation means that you will spend more time getting useful information and less time being distracted. This entry was posted in Uncategorized on April 27, 2012 by Junior Yearwood. Ariel International Equity Fund pursues long-term capital appreciation. The fund will invest in between 40-150 developed market stocks outside the US. Unlike Ariel’s domestic funds, there are no social responsibility screens here. Rupal J. Bhansali will manage the fund. Mr. Bhansali recently joined Ariel. Before that, he was Head of International Equities at MacKay Shields, the institutional investing arm of New York Life. Expense ratio of 1.4%, $1,000 minimum initial investment. This entry was posted in Uncategorized on November 1, 2011 by Editor. ASTON/Silvercrest Small Cap Fund The manager is Roger Vogel, Managing Director of Silvercrest and lead portfolio manager for Silvercrest’s small cap value investment strategy. Prior to Silvercrest, he co-managed both small-cap and large-cap portfolios for Credit Suisse. His private account composite has returned 6.4% since inception in 2003, while the Russell 2000 Value returned 4%. For better or worse, most of his advantage comes in a dramatic outperformance in 2008. Expense ratio of 1.41%, minimum initial investment of $2500, reduced to $500 for IRAs. Forward Endurance Fund seeks long-term growth by investing, long and short, in a global stock portfolio. Their focus will be “to identify trends that may have large and disruptive impacts on global business markets.” David Readerman and Jim O’Donnell will manage the fund. They recently took over Forward Small Cap as well. Expenses not yet set, $4000 minimum initial investment, reduced to $2000 if you sign up for eDelivery, $500 for accounts with automatic investing plans. Ariel Global Equity Fund pursues long-term capital appreciation. The fund will invest in between 40-150 stocks, foreign, domestic and emerging. Unlike Ariel’s domestic funds, there are no social responsibility screens here. Rupal J. Bhansali will manage the fund. Mr. Bhansali recently joined Ariel. Before that, he was Head of International Equities at MacKay Shields, the institutional investing arm of New York Life. Expense ratio of 1.4%, $1,000 minimum initial investment. Forward Floating NAV Short Duration Fund seeks maximum current income consistent with the preservation of principal and liquidity. Their investment strategy is generic (investment grade, US and non-US, government and corporate debt), but they’re benchmarked against the three-month T-bill and the prospectus goes to pains to say that they’re not a money market. That, of course, says that they’re trying to market themselves as “better than a money market.” David L. Ruff and Paul Broughton will manage the fund. Both have extensive experience, though not in fund management. Expenses not yet set, $4000 minimum initial investment, reduced to $2000 if you sign up for eDelivery, $500 for accounts with automatic investing plans. FPA International Value Fund (FPIVX) seeks above average capital appreciation while attempting to minimize the risk of capital loss. FPA looks in all their funds for well-managed, financially strong, high quality businesses whose stock sells at a significant discount. The managers, Eric Bokota and Pierre Py, are both former Harris Associate (i.e., Oakmark) analysts. Initial expense ratio of 1.98% (they don’t believe in fee waivers), but at least the minimum initial investment ($1500) is low. Gerstein Fisher Multi-Factor International Growth Equity Fund will seek long-term capital appreciation. They’ll focus on “smaller growth companies that may also display characteristics typically associated with value-oriented investments.” Gregg S. Fisher, the firm’s chief investment officer, will manage the fund. Expenses of 1.37%, $5,000 minimum initial investment. Granite Value Fund will seek long-term growth by investing globally in about 40 mid- to large-cap stocks. Scott B. Schermerhorn will manage the fund. Expense ratio of 1.35%, $10,000 minimum initial investment, reduced to $5000 for tax-advantaged accounts. IASG Managed Futures Strategy Fund (“N” shares) will seek positive long-term absolute returns. 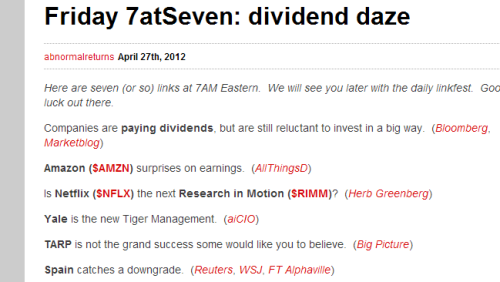 The plan is to invest 75% in fixed income and 25% in a combination of “commodity pools” and ETFs. This has “bad idea” written all over it. The strategy is obscure and depends, largely, on investing in a bunch of actively managed “pooled investment vehicles,” each of which has a manager pursued his own commodity strategy, often derivative based or in ETFs that have price momentum. The fund will be managed by Perry Lynn and JonPaul Jonkheer of IASG Capital Management. $2500 investment minimum, expense ratio not yet set. Kottke Commodity Strategies Fund (“N” shares) will seek positive absolute returns. The plan is to invest 75% in cash and 25% in exchange-traded commodity futures and options. The cash – currently offering negative real returns – is collateral for the commodity positions. The fund will be managed by a team led by Michael Crouch (“head trader”). $2500 investment minimum, expense ratio not yet set.